Starting a website is easy. However, making it look and feel professional is another thing. To have a successful website, you should make sure to plan the design and the content carefully. Here are some useful tips to make your website look professional and eventually gain more traffic and solid followers. Homepage is the most important page of your website. It invites the readers to stay and look at other pages. So make sure that your homepage is simple with a clear, inviting message. Do not put too much content as you want to capture the attention of the readers with a quick scan. You do not want to bore them with long paragraphs and lines. The tendency is that they might close the browser before they even finish reading them. What you should do is to come up with a compelling statement and then follow it up with a convincing Call to Action. That way, you will capture their interest. Do not overkill with six or eight frames layout on one page. Readers like the basic layout where they can read content at ease. Using a white space as a design element is important to make the site easier to look at. Too much words and less spaces can give your readers a headache so you should make sure to consider some white spaces. Website design is very important to amuse your visitors. However, you should be careful in choosing graphics. Make sure to create your own logo and do not just copy from other sites. You can be in big trouble for copying logos of other companies, especially the big ones. If you’re not good in creating graphics and logo, you can contact a designer to create it for you. In terms of the images that you use for your content, make sure to optimise the size as you do not want your site to load slowly because of large files. You should also pick appropriate graphics to use for your content. Make your website is easy to navigate. Website visitors tend to be impatient – they want things to be simple, they click this then you lead them to that page. 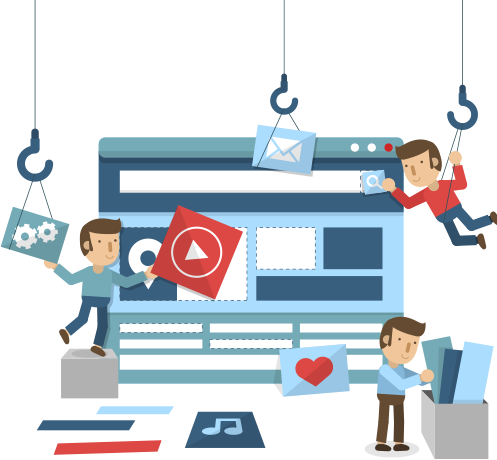 When designing your site, your visitors should be your main priority. You should consider if the website is easy to navigate for your audience. When creating content, make sure that it is informative and easy to read. Keep your articles simple and do not make it too long if not necessary. Also, be sure to provide accurate information based on your research. You know what visitors find most irritating in a website? Pop-up ads that appear out of nowhere. Avoid pop-ups especially ads. Lastly, you should make your website mobile-friendly for users who are using their mobile phones when browsing. It would be great to make your site responsive so the layout looks fine even when using a smaller device. Follow these tips to make your website look professional. People in the internet can be very particular when it comes to websites they trust. But to be able to earntheir trust, you must get their attention first.